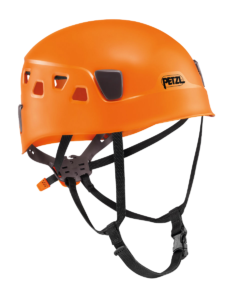 To meet your requirements as professional operators, Petzl invents solutions adapted specifically to adventure parks and ropes courses. 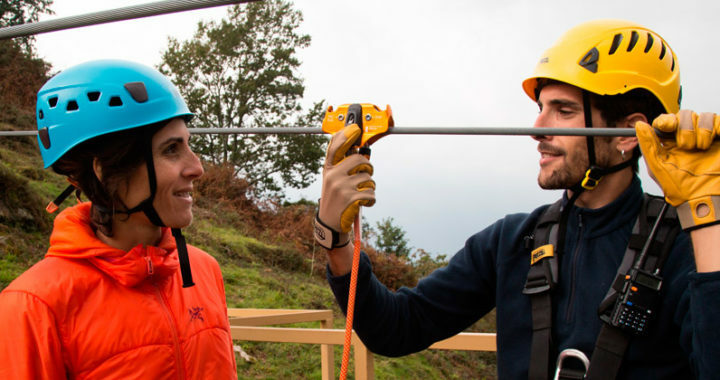 For a full product range, please see the PETZL ADVENTURE PARKS WEBSITE. We do not sell Petzl products directly to the public, please use our Dealer Locator from the menu above. PANGA is a durable, easy-to-use helmet, designed for group and club use. The FLIP&FIT system immediately positions the headband in a low position, to guarantee that the helmet fits securely on the head. The system also protects the headband during storage or transport and allows easy adjustment by the instructor or user. Easy maintenance and optimised product life, thanks to three components – shell, liner and headband – being completely removable and available as replacement parts. Available in three colours and in packs of four only. Typically these are a special order item for Australia with an ETA of about 6 weeks depending on quantity required, but at the time of publishing, we had 4 packs of Orange in stock. 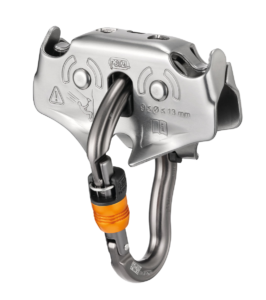 The VERTIGO carabiner is attached to the TRAC pulley, making the unit drop-proof, and thus simplifying manoeuvres. The clip-on, lockable cover with optimal shape makes it easy to connect the TRAC to a pulley lanyard. The two supports for the progression carabiners protect them from cable wear. Available individually or in a pack of 10. The JAG RESCUE KIT is a ready-to-use reversible rescue kit designed to easily pick off and lower a victim. It contains a JAG SYSTEM haul kit, a RING OPEN gated ring, an I’D S descender, a CONNEXION FIXE 150 cm anchor strap, a BUCKET bag and an AXIS 11 mm rope with two sewn terminations. It is available in three lengths: 30, 60 and 120 meters. Great for any rescue applications but fantastic for a ‘ready-to-go’ Rescue system for adventure parks. All 3 lengths are carried in stock in Australia.